Back cover blurb: Dear Lonely Leinster Lady, I'm not really sure how to begin . . . The truth drifts out to sea, riding the waves out of sight. And then the tide turns. Elizabeth Keane returns to Ireland after her mother's death, intent only on wrapping up that dismal part of her life. There is nothing here for her; she wonders if there ever was. The house of her childhood is stuffed full of useless things, her mother's presence already fading. And perhaps, had she not found the small stash of letters, the truth would never have come to light. 40 years earlier, a young woman stumbles from a remote stone house, the night quiet but for the tireless wind that circles her as she hurries further into the darkness away from the cliffs and the sea. She has no sense of where she is going, only that she must keep on. 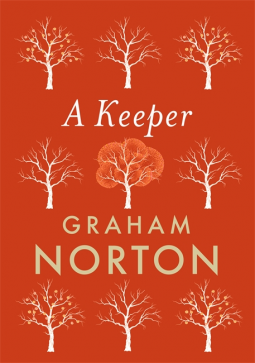 This compelling new novel confirms Graham Norton's status as a fresh, literary voice, bringing his clear-eyed understanding of human nature and its darkest flaws. When Elizabeth Keane returns to Ireland following her Mother’s death, it is only to clear the house, and only then from a sense of duty. There is no real feeling behind her journey. A letter found amongst her Mothers possessions gives Elizabeth a differing aspect of her childhood, and for the first time in her adult life, she wonders who her Mother really was. Then: Patricia, Elizabeth's Mother was a lonely young woman, 40 years previously, and took a path down a road that would lead her in a very different direction to the one her life was originally headed. Now: Elizabeth reluctantly starts looking into her Mothers past as she discovers that she has been left a property mysteriously. One she knows nothing about. One that she doesn't much care about. She only wants to get home to her own family. But as Elizabeth delves into her Mothers past, she begins to realise that her Mother was a very different woman than the one she grew up with, and perhaps there is history worth exploring after all. A Keeper is a beautifully written novel, detailing family secrets, love, loss and betrayal. Graham Norton is such a fantastic story teller and his novels are really something to treasure. I look forward to his next offering, for I am sure that there must be one planned! A Keeper is available now via Amazon online and all good book shops.